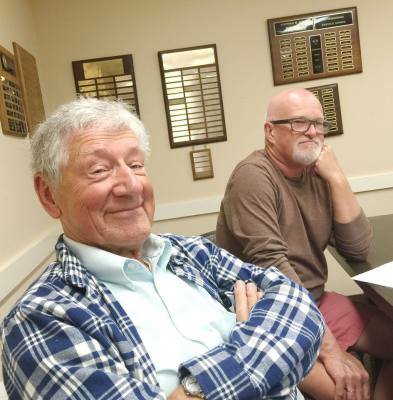 ​​The Rossmoor Gay Men’s Group is committed to the friendship, education, and support of gay men and is open to all gay men residing in Rossmoor, their guests, and men living outside of Rossmoor. The Club hosts about nine events per year, a mix of social and discussion/speaker opportunities. Meetings are usually held on the third Tuesday of each month starting at 6:45. The Club also participates in events sponsored by The Alliance. Rossmoor residents and staff have been very supportive of us. Our aim is to be supportive of each other. See our calendar below for scheduled events. If you have questions about RGMC, would like to become a member, or join our mailing list, please send an email to RossmoorGMC@gmail.com. Someone will get back to you with a response or additional information as promptly as possible. If you prefer someone to call you, please include your phone number. The Rossmoor Gay Men’s Club (RGMC) is an organization of gay men, officially recognized by the Rossmoor retirement community in Walnut Creek. The RGMC is for gay men who wish to enhance the quality of life through social gatherings, friendship, community involvement and establishing support networks. The RGMC is open to all gay men residing in Rossmoor. It is committed to offering friendship and support to all gay residents and reaching out to those experiencing loneliness and/or personal issues. The RGMC affirms the gifts and talents of all its members and celebrates the dignity and uniqueness of each.